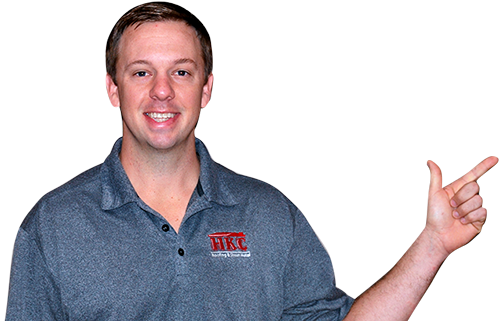 In todays crowded market of asphalt shingle manufacturers, you can get nearly any color or style shingle your heart desires. 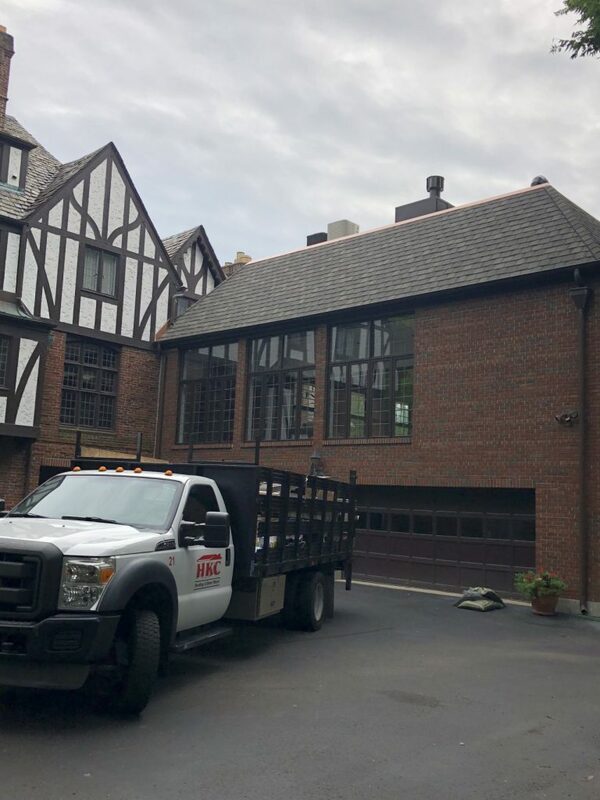 Most of the shingle roofs being installed today look very similar in design but the Grand Manor shingle manufactured by CertainTeed had a distinct appearance. This homeowner was trying to replicate the look of a tile, after their old roof was damaged by a fallen tree. 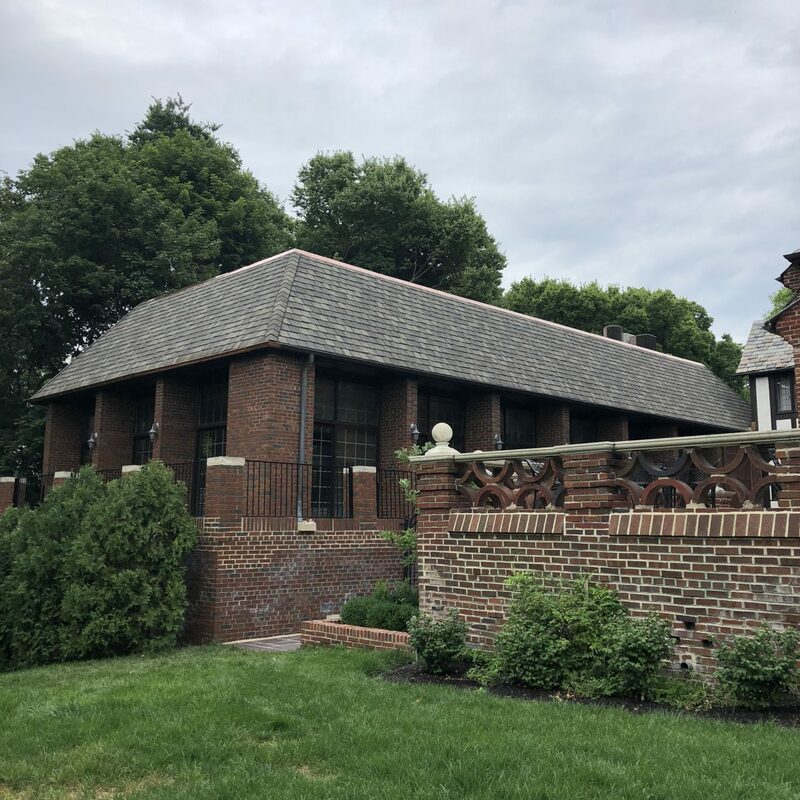 The Grand Manor shingle complimented the customers pool house with it’s depth (thick material) and color blend. 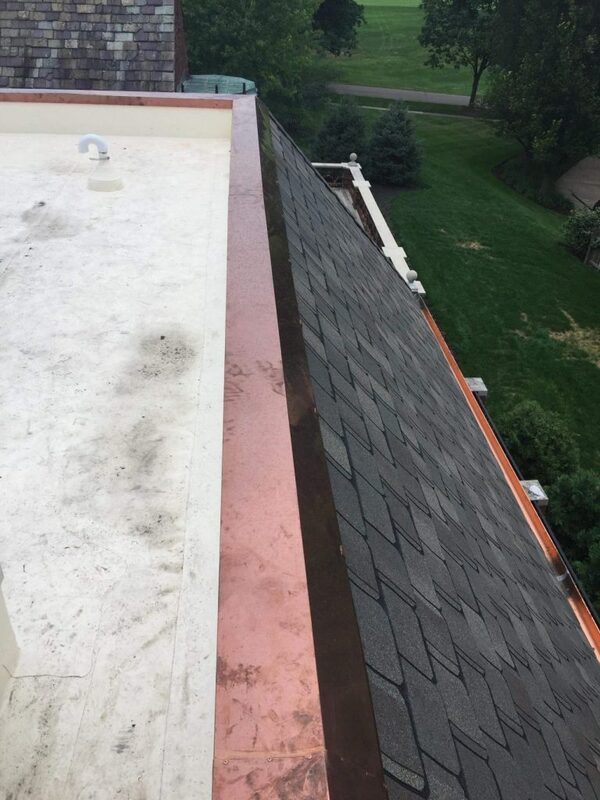 Copper accents at the coping cap and dead-valleys help add prestige to the project. It’s safe to say that this shingle really will last 30+ years. 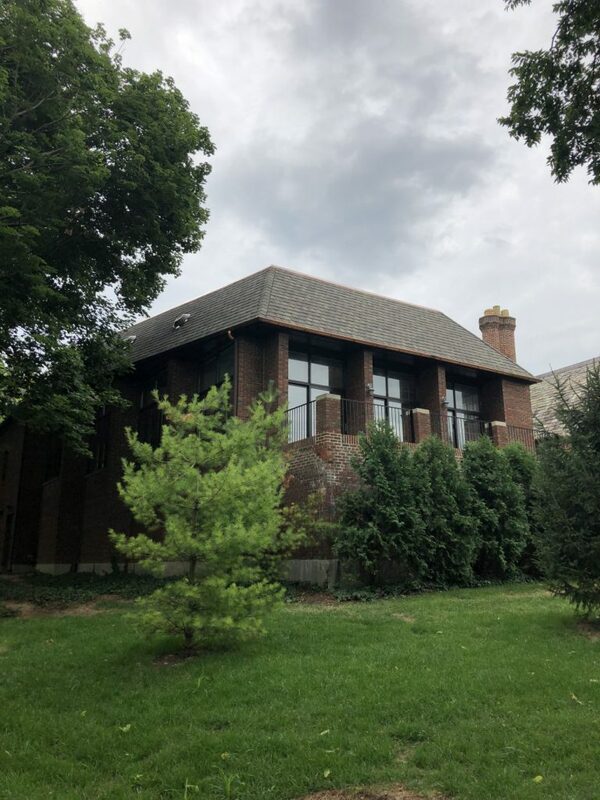 This very steep roof is referred to as a mansard, where the pitch is over 21/12. 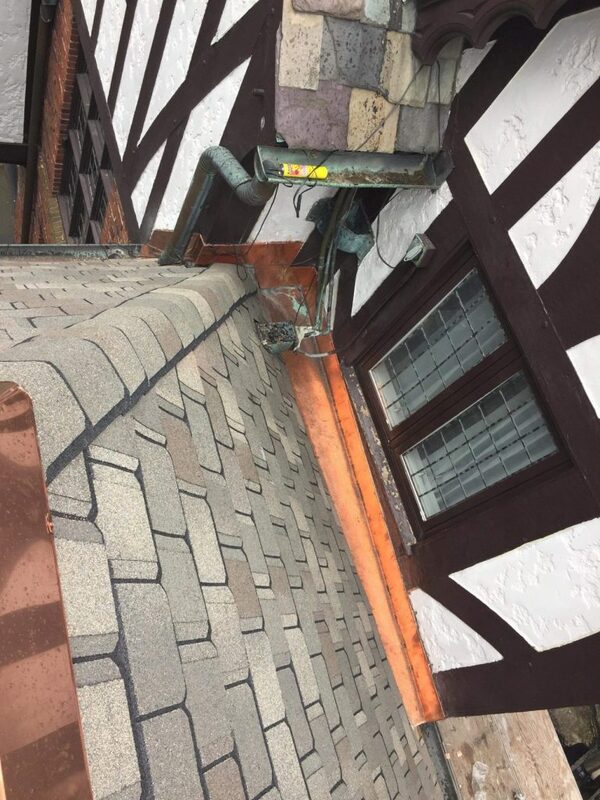 A specific application is required when working on mansards roofs. 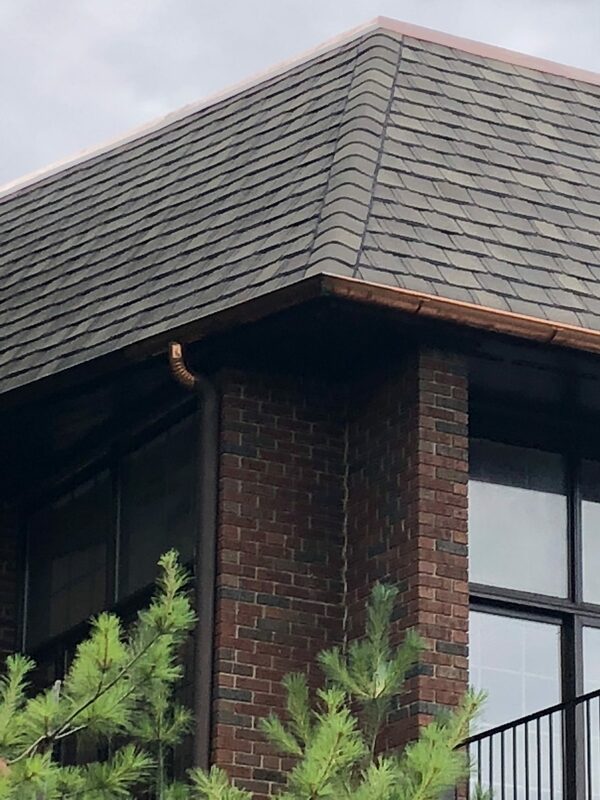 The crew did a nice job of paying careful attention to the details surrounding fastener placement as well as the application of roof cement to help pre-seal the shingles.